Long experience has taught me that a ‘lost’ novel is often best kept that way so I won’t be including Harper Lee’s Go Set a Watchman here. Surely the entire world and its dog must know about it by now, anyway. 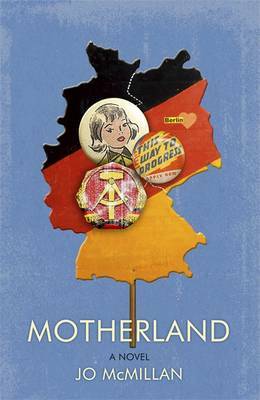 Instead I thought I’d take a look at a few less trumpeted titles due in July of which there are enough to spread across two posts, beginning with Jo McMillan’s Motherland set in 1978. Jess’s mother is a communist, a fish out of water in Tamworth which resolutely resists her exhortations to see the light. When she gets the chance to spend the summer teaching in East Germany she and Jess decamp. A new life opens up, or so it seems. It’s billed as ‘a tragic-comic portrait of childhood’ and sounds very appealing. I’m a little unsure about M. O. Walsh’s debut My Sunshine Away which comes garlanded with praise from an extraordinary range of authors including the likes of Kathryn Stockett, Matthew Thomas and Anne Rice, to name but a few. Set in Louisiana in the ‘80s, it’s narrated by a fourteen-year-old who’s in love with Lindy Simpson, raped on her way home from school one summer day. Worryingly, we may be in The Lovely Bones territory, here, but so many writers have extolled the beauty of Walsh’s writing that I’m willing to give it a try. Benjamin Markovits’ You Don’t Have to Live Like This sounds entirely different. Greg Marnier is an American academic who has somehow landed up in Aberystwyth. At his college reunion, addled with jet lag and drink, he’s persuaded by a wealthy old friend that the derelict neighbourhoods of Detroit may offer him a way out. Robert’s plan is to buy up swathes of the boarded-up city and build a new America but several of the owners fail to share his vision. Clashes follow in what sounds like an interesting novel. Several years ago I read and thoroughly enjoyed Glenn Taylor’s The Ballad of Trenchmouth Taggart. 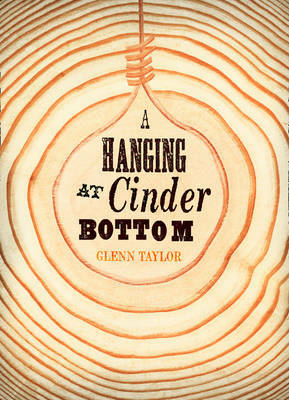 His new novel, A Hanging at Cinder Bottom, is set during the boom years of the West Virginia coal mining industry. Poker-playing Abe Baach returns to Keystone hoping for a reunion with his lover Goldie Toothman, madam of the local brothel, only to find his brother dead and his father’s saloon a shambles. Trenchmouth was a triumph so I’m looking forward to a rollicking good read. I’ve had mixed feelings about Scarlett Thomas’ writing in the past – The End of Mr Y left me cold but I enjoyed Our Tragic Universe very much. Her new novel, The Seed Collectors, sees an extended family gathered to remember their Aunt Oleander. Each family member has been bequeathed a seed pod, but with the legacy comes secrets which may divide them irrevocably. It’s described as ‘revealing all that it means to be connected, to be part of a society, to be part of the universe and to be human’. Something of a tall order, then. 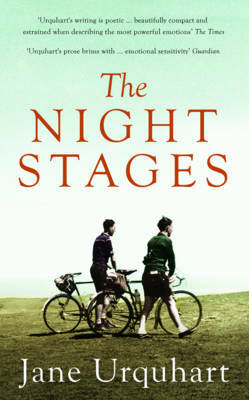 Set in the ‘50s, my final choice for this instalment is Jane Urquhart’s The Night Stages which follows Tamara, now a civilian after flying as an auxiliary pilot during the war years and settled in the west of Ireland. Her long affair founders when her lover’s brother disappears after a cycle race, leaving Niall convinced he is to blame in some way. Tamara decides to go to New York, reflecting on what has become of her life and her lover’s as she waits out a fogbound layover in Newfoundland. Both A Map of Glass and Sanctuary Line were quietly beautiful novels – I’m hoping for the same from The Night Stages. That’s it for the first helping of July’s goodies. As ever a click on a title will take you to a more detailed synopsis at Waterstones website. More to come soon. This entry was posted in Random thoughts, Reviews and tagged A Hanging at Cinder Bottom, Benjamin Markovits, Books published in July 2015, Glenn Taylor, Jane Urquhart, Jo McMillan, M. O. Walsh, Motherland, My Sunshine Away, Scarlett Thomas, The Night Stages, The Seed Collectors, You Don't Have to Live Like This on 15 June 2015 by Susan Osborne.